October is an interesting time for birds in and around the village. Most of our garden regulars have finished moulting; their recently tatty tails and half-bald heads, usually blamed on encounters with local moggies, were actually part of their annual moult. 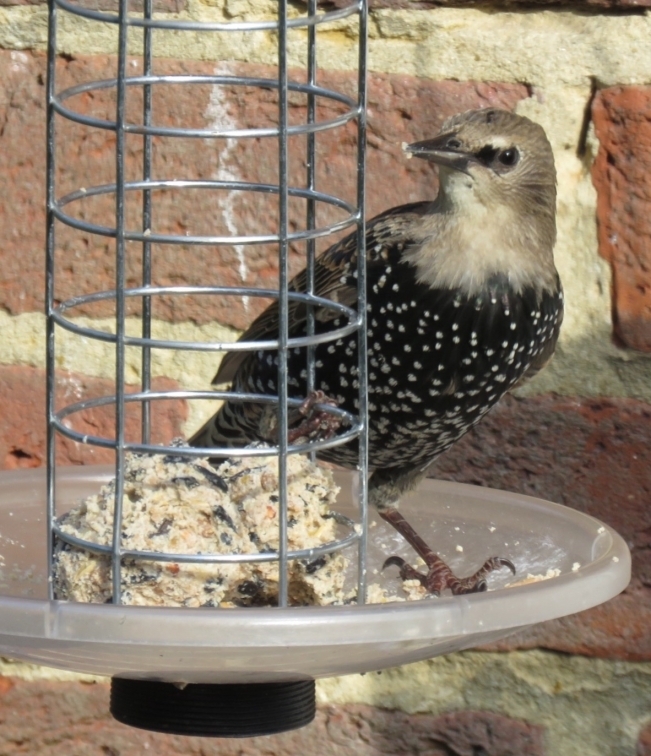 This process is most easily seen as starlings hatched this year have gradually replaced dull brown juvenile feathers with the familiar iridescent adult plumage. Even now you could still see an individual on your feeder with a few brown feathers still on its head. Robins look smart again too. Already sporting their breeding plumage, they become territorial once more – including females – and chase out other robins. Even their own offspring, now they have lost their spotted juvenile feathers, are no longer tolerated. Autumn also sees the start of another gradual change for a few local species: some of our robins, blackbirds and chaffinches move south, even to France and Spain in some cases, seeking milder weather as temperatures start to drop. They are replaced by individuals of the same species moving here from northern Europe. Birds we like to think of as ‘our’ robins or blackbirds may be taking a winter break in the south while it’s their Scandinavian relatives enjoying the generous smorgasbord on offer in The Farleighs’ gardens. In fact, the chaffinch’s scientific name is Fringilla coelebs – the bachelor finch. The Swedish scientist, Linnaeus, noticed that female chaffinches all but disappeared in the winter (because they migrate south) leaving the males on their own. So he coined their name to reflect that. 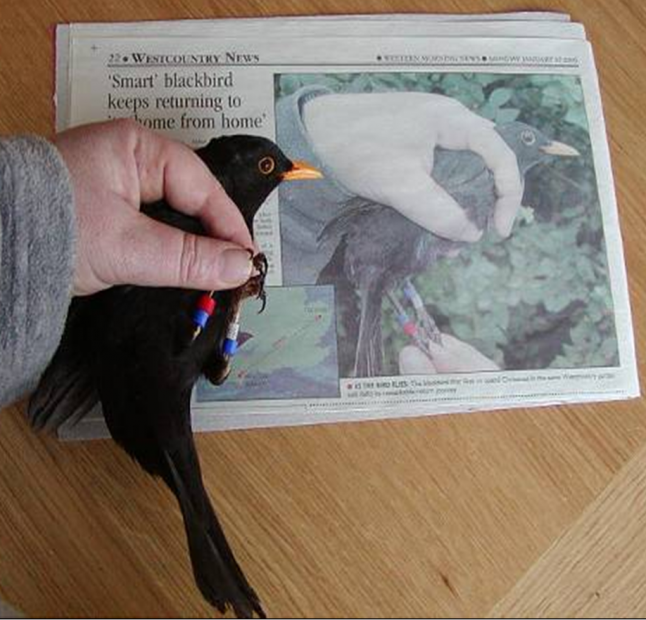 Scientists at the British Trust for Ornithology, meanwhile, used coloured rings to track the movements of ‘Homer’ the blackbird who spent three summers in a Norfolk garden, while wintering in another garden 240 miles away in Devon! 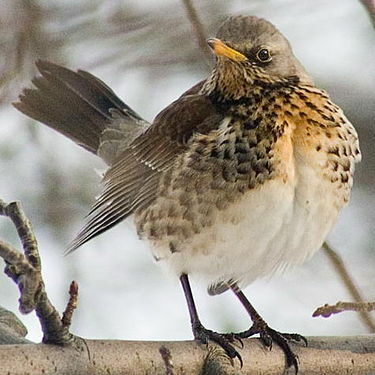 By the end of October the first winter thrushes will have started to arrive, and be found feasting in local orchards or searching for invertebrates in ploughed fields. Windfall apples on lawns can attract them to gardens too. Flocks of burly, noisy fieldfares are easily detected. Their mixture of dark- and light-grey backs with spotted russet breasts are usually accompanied by loud “chack-chack” calls. 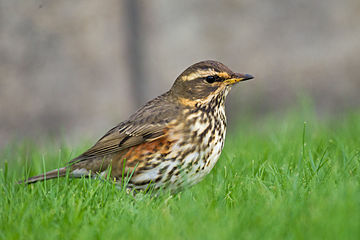 Look more closely at the flocks and you will see the smaller redwing, like a song thrush with a pale eye-stripe and a red patch under its wing. They are much quieter; but listen as you put the cat out - their high-pitched “tsee-tsee” can often be heard on a clear cold night as they pass overhead on migration. Redwing: note red patch under wing! Love this article. Gives us a reason to look forward to the colder weather.